Looking like something straight out of an animator’s workshop, this new species discovered by the Okeanos Explorer near the Mariana Trench lives miles underwater and emits light from its bulbous body. 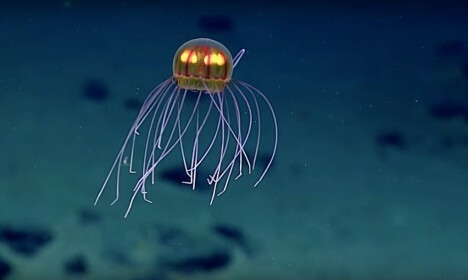 The National Oceanic and Atmospheric Administration (NOAA) was exploring the Enigma Seamount when the ROV Deep Discoverer came across this yet-undiscovered jellyfish. Extended tentacles are, it is assumed, used to capture unwary prey attracted to the light of the species’ body. The mission that found this fresh creatures is no yet over, either, so more uncanny discoveries may be yet to come. 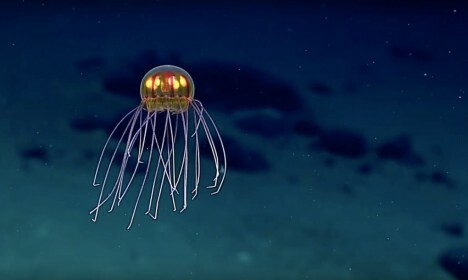 Meanwhile, this dazzling creature is making waves all over the internet, and reminding people there are many things yet to find in the underwater frontier. See more in Earth & Nature or under Science. July, 2016.